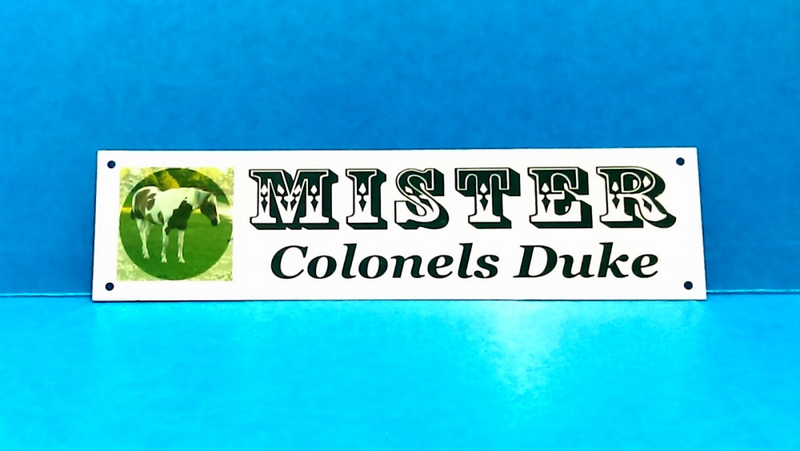 These are great for use on or in a Stall, Barn, Kennel, Cat Crate, Door, Horse Trailer, Tack Trunk or in the Home or Office. Gloss White Aluminum Photo Sign is 2 inches X 8 inches Personalized with Your Photo and Text for Gifts, Offices, Homes, Horse Stalls, Dog Kennels and crates, Door Plates, any identification or advertising sign. Color Photo and Text are Baked on. It is Not Painted on and will not Crack or peel off. Each Piece is custom cut and drilled by me here in my shop, so other sizes are available. Feel free to contact me if you need something else made. One 2 inch X 8 inch Personalized Gloss White Aluminum Sign with YOUR PHOTO and Your Custom Text. Pre-drilled Holes in 4-corners. You can opt for NO HOLES, just mention this along with the text you want on your sign. Please Choose Your Font (examples of the fonts are in the pictures above) from the drop down list. You can have One or Two lines of text and each line can be a different font. Choose your fonts from the dropdown lists and Enter your text for each line in the Test Boxes provided. Check and recheck your spelling and capitalization before sending it to me. I will email you a sample of your layout before starting on your signs. 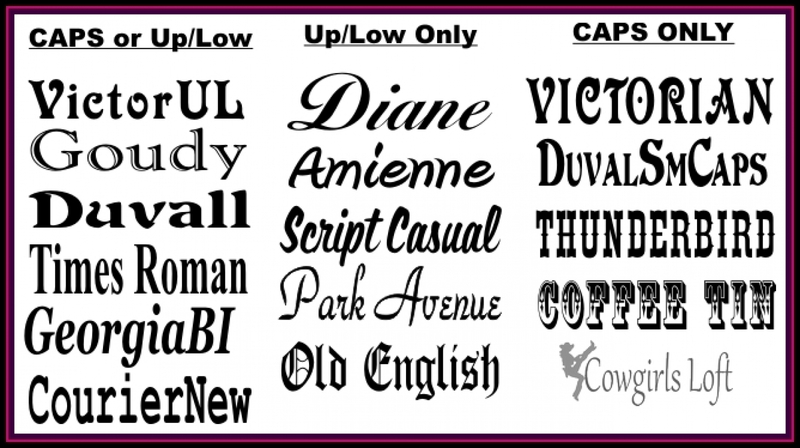 Please Note: My font list headings are to help you with choosing fonts. Some fonts are strictly All Capitals, some are not legible as all capitals. If you have questions or are unsure which font to use, feel free to contact me for help. If you have a different Font that you would prefer, just ask I may have it.